Semi-Detached Family House in highly sought after location Hall. Lounge. Dining Room. Conservatory. Dining Kitchen. 2 Utility Rooms. Office/Study. Master Bedroom Suite. Teenage Suite. 2 Further Double Bedrooms. Teenage Lounge. Family Bathroom/W.C. Separate W.C. Gas Central Heating. uPVC Double-Glazing. Gardens Front & Rear. Viewing Essential to fully appreciate this property! 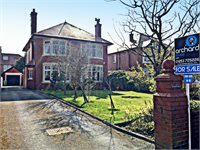 "Meadow House" 184 Clifton Drive South, St. Annes, Lancashire, FY8 1HQ. Recently Modernised Detached Family House in sought after location Hall. Lounge. Dining Room. Family Room. Conservatory. Kitchen. Utility Room. 5 Bedrooms. (2 x En-Suite). Bathroom/W.C. Separate W.C. Gas Central Heating. Double-Glazing. Double Tandem Garage. Gardens Front & Rear. Viewing Essential. Versatile modern light industrial premises located in a popular part of Blackpool. 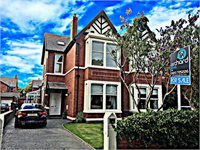 Within commuting distance of the town centre of Blackpool and all amenities. Approximately 5,900 sq. ft. Reception area. Offices. Kitchen. W.C. Extensive parking. Secure fenced compound. Stunning Five Bedroom Detached Bungalow. Finished To A Very High Standard. Multiple Reception Rooms And Living Accommodation Options. Stables And Double Garage. Set In Approximately 1 Acre Of Land. EPC: D.
Detached Family House in sought after location Hall. Lounge. Dining Room. Kitchen. 3 Double Bedrooms. (1 x En-Suite). Bathroom/W.C. Oil Fired Central Heating. uPVC Double-Glazing. 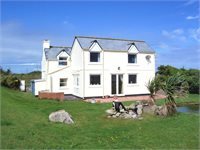 Situated within a few minutes drive of Ramsey. Extensive Gardens. Spectacular Sea Views. Viewing Essential.